The Arts Council is now accepting nominations for its 46th Annual Art Awards, which will be held Sunday, Oct. 4 in Century II Convention Hall, 225 W. Douglas. The event celebrates the arts and honors businesses and individuals who have made major creative achievements or significant contributions to the development of the arts in Wichita. 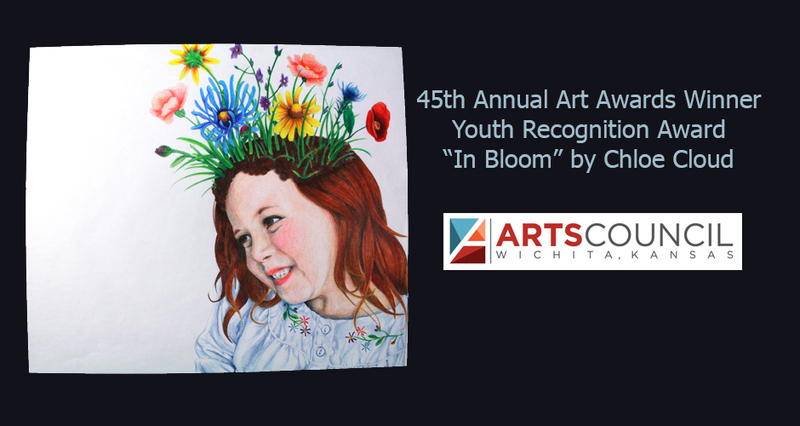 Art Awards nomination forms may be picked at CityArts, 334 N. Mead, or downloaded online at WichitaArts.com. All nominations must be received by Wednesday, July 15. The Art Awards will be an entirely new experience this year, centered around films and live entertainment like never before. Be on the lookout for details that will be coming soon. · Gordon W. Evans Award – Given to a patron demonstrating outstanding leadership and special support for the arts. · Arts Organization – Given to a public, not-for-profit organization that presents or provides arts opportunities to the Wichita community and region. · Special Project – Given to a neighborhood, business, corporation or group that has provided support for a single event or project. · Arts Educator – Given to an individual who has devoted a career to teaching the arts in an educational environment. · Arts Advocate/Individual – Given to an individual or couple dedicated to furthering the cause of an art form or the arts in general through promotional, volunteer, administrative, legislative or professional efforts. · Arts Advocate Group or Business – Given to an organization or business dedicated to furthering the cause of an art form or the arts in general through promotional, volunteer, administrative, legislative or professional efforts. · Individual Artist – Given to an artist actively working in such categories as choreography, music composition, film/video, theatre, interdisciplinary/performance art, two-dimensional visual art and/or three-dimensional visual art, who has shown outstanding achievement. · Youth Recognition Award – Given to a high school or middle school student who has shown outstanding achievement and development in the arts. · Burton Pell Award – Given to an outstanding individual in music in memory of Mr. Pell, a longtime member and past president of the Arts Council. Since 1999, The Arts Council, which is housed at CityArts, has worked in partnership with the City of Wichita to achieve its mission of advancing and promoting arts and culture in the Wichita community through advocacy, leadership, education and collaboration. The Arts Council slogan “We Make Art Happen” reinforces the group’s commitment to the business side of the arts and spreading the word that arts and culture is a $66.2 million industry in Wichita that creates 2,006 jobs and generates $6.5 million in local/state government revenue.